Amazon is reportedly planning to enter the highly crowded streaming music race. No, this is not the Amazon Music service that Prime members currently enjoy. The new service will be a direct competitor to Apple Music, Spotify premium and Google Play Music, among others, with a similar $9.99 monthly price tag. Apple entered the fray last year and, if things go according to plan, Amazon will be there soon. The big question now is: why enter an overcrowded market with so many options and wafer-thin profits when their retail business is already struggling on margins? Look at Spotify as a prime example. 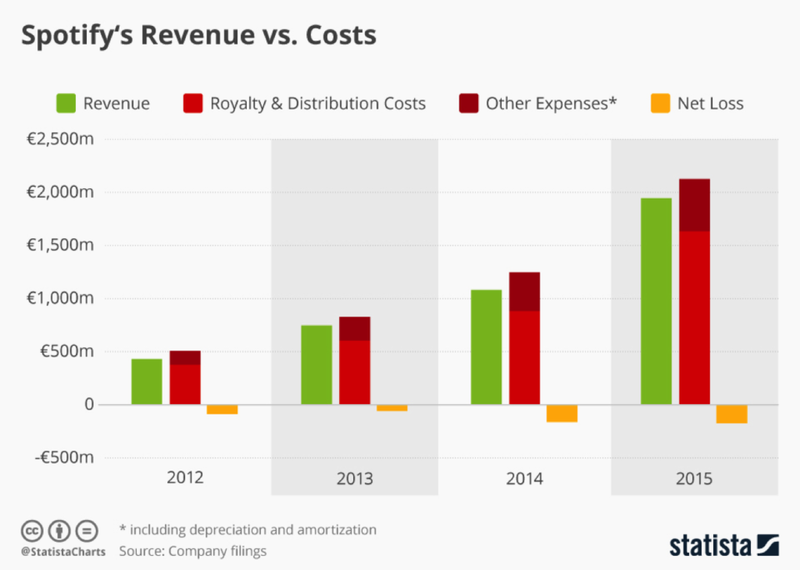 As their revenue grew at a breakneck pace, so did expenses, with the end result that they’ve been losing money over the past four years. One of the more plausible explanations is that Amazon is trying to create as many touch-points as possible with potential customers. Amazon is really good at attracting people with low prices, and then adding so much value on top of the basic deal that people automatically start spending more. For them, it’s a tried and tested model that’s worked not only in online retail, but even in the more “serious” space of tech, where Amazon Web Services entry level pricing is dirt cheap, but add-on services help the company make a handsome profit. So much so that AWS now earns more in operating income that their entire retail business across the world. “Go for the customer first; the wallet will come later” seems to be the mantra they’re chanting. But there’s also another reason why they would want users hooked on their music – Amazon Echo. The mobile device can perform a laundry list of functions based on voice commands, and is competing against Siri, Google Now and Microsoft Cortana to become our preferred virtual assistant. 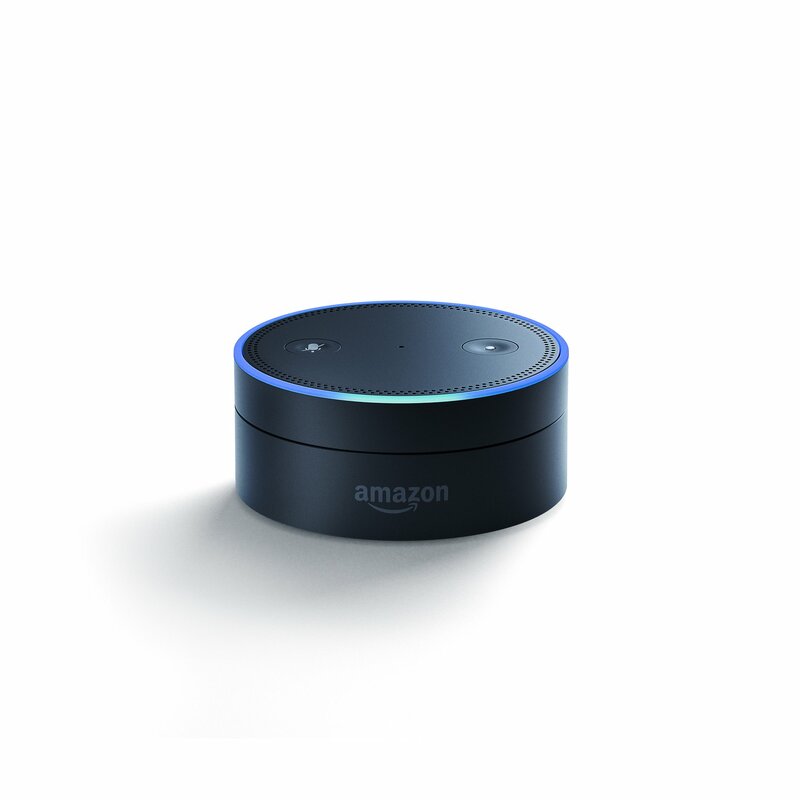 Of note here is the fact that Echo – an internet enabled device – can be used to plug into streaming services such as Spotify. It is extremely likely that the e-commerce giant has taken note of user statistics for Echo, and decided that enough people are streaming music through the device to justify offering such a service on their own. However, I believe there’s a third factor which is possibly the most important one – Amazon Prime. Prime has steadily been adding more and more services around the world. For example, they recently launched a grocery delivery service in the UK. They also launched restaurant delivery services in Miami and Atlanta in the United States. Prime users already enjoy several benefits including free two-day shipping on select products, Prime Video and Prime Music. As more services are added, it will help further justify the $99 expense for people who are still on the fence about Prime. 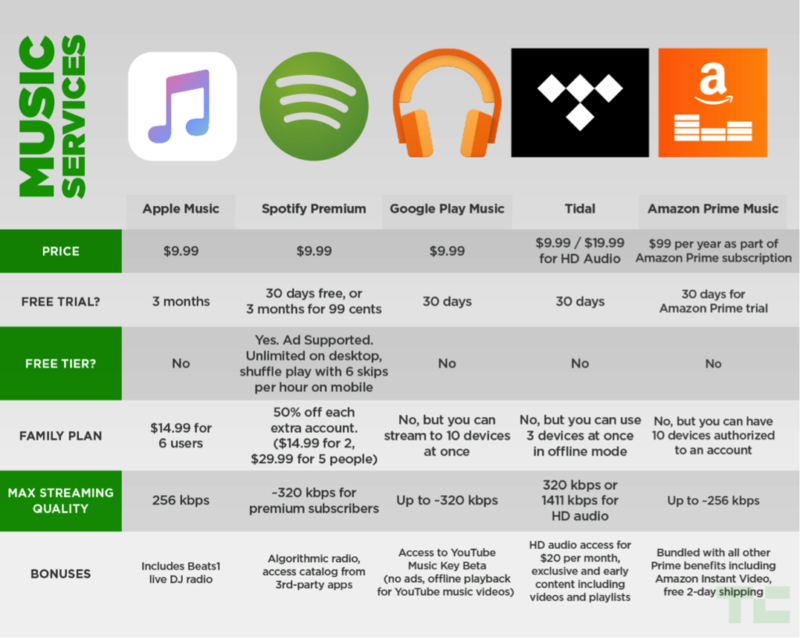 More importantly, however, it will enable Amazon to independently monetize the music streaming part of Amazon Prime Music, which will effectively negate their expense under Prime. By moving music to this new model, they have the opportunity to recoup, at least in part, the expenses they incur for Prime customers. Amazon is in pursuit of a strong, profitable membership model that can allow its retail business to be run at break-even if necessary. In that pursuit, they will continue to add more services to Amazon Prime, while on the other hand find ways to turn as many cost centers to profit centers as possible. They did it with Amazon Web Services, and now it looks like they are attempting to do that again with Music Streaming. The key to this plan working is that their new Music Streaming service should eventually become profitable on its own. That is the only way it can help support growing expenses in Prime and retail, especially shipping.